Vancouver is consistently ranked among the top 3 cities in the world to live in. Nestled between snowcapped mountains and the Pacific Ocean, Vancouver is home to a thriving and diverse population. Approximately 2 million people live in the area. Vancouver hosted the 2010 Winter Olympic Games. 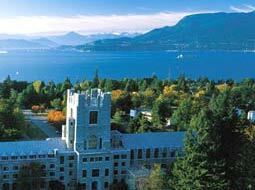 Vancouver is Canada’s third largest city and has a mild coastal climate. Visit www.Vancouver.ca to learn more.